A dispute with a taxing authority, like any other legal dispute, often does not have to lead to the courtroom. In many cases, the taxpayer and the agency can arrive at a mutually acceptable solution outside of court, and without resorting to litigation. However, for those times when a resolution is not so simple, and litigation becomes necessary, you need an advocate who possesses a unique mix of tax knowledge and litigation ability. The tax specialists at the Ben-Cohen Law Firm possess exactly that rare combination of proficiencies. Our Los Angeles tax litigation lawyers utilize our in-depth knowledge of the tax law and the litigation process to maximize our clients’ results. Our clients enjoy legal representation that provides a special blend of varied, in-depth, and hands on experience in tax litigation matters that would normally be typical of a large firm, while still receiving the close, personalized attention of a boutique practice. Pedram Ben-Cohen is an Attorney and a CPA, certified by the State Bar of California Board of Legal Specialization as a Taxation Law Specialist. Mr. Ben-Cohen has first-hand experience with tax litigation cases, having been associated with two international tax defense firms and the Tax Division of the U.S. Attorney’s Office. Our tax litigation lawyers represent Los Angeles clients and others before the Internal Revenue Service (IRS) during all phases of the tax dispute process, including each aspect of an audit, as well as litigation before the U.S. Tax Court, trial courts, and appellate courts. Moreover, our practice goes beyond simply dealing with the IRS and federal income tax matters. We also handle state tax audits (including multistate audits), and regularly represent clients before the California Franchise Tax Board, the State Board of Equalization, and Employment Development Department. We provide our clients with a careful and thoughtful strategy to manage the audit and yield a successful result. When possible, we achieve this through settlement. However, when an administrative hearing or trial is necessary, we stand ready to defend your rights and help you pursue the best possible outcome. Many general litigation firms may provide clients with high-quality, zealous representation, but may lack detailed knowledge of tax law and procedure. For example, a tax planning attorney may offer outstanding advice on structuring your assets and business entities to achieve a favorable result in terms of tax liability, but may have a more limited familiarity with tax dispute procedures. 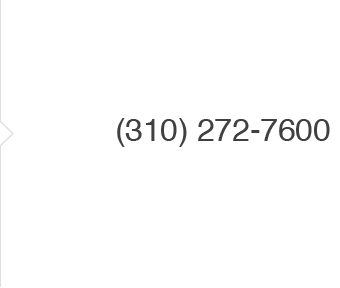 At the Ben-Cohen Law Firm, however, our Los Angeles attorneys focus on tax litigation and controversies. Whether the issue you face involves an offshore asset matter, a voluntary disclosure, an IRS audit, or a dispute with a state or local taxing authority, we are familiar and experienced with providing the highest caliber tax litigation defense. If you have concerns about potential litigation involving a tax dispute, contact the tax attorneys at the Ben-Cohen Law Firm. Our Los Angeles tax litigation attorneys can advise and represent you in all aspects of your tax litigation matter, and work with you to resolve your dispute as favorably as possible.